With the recent epidemic of ransomware viruses (up over 600% in 2016 and with the newest batch of exploits wreaking havoc internationally), I thought it would be a good idea to go through the basic guidelines for mitigating and containing ransomware for your small to mid sized business. There are plenty of additional pieces to putting this together completely so please reach out to me if you would like some assistance. Some of these are simple recommendations and this is by no means a complete list. But, then again, eat healthy, exercise regularly and don’t smoke are simple recommendations – and if you don’t follow them, you know what to expect. Use a reputable multi vector end point security – Use anti virus programs like Webroot/Kaspersky/McAfee/Avast. Don’t be penny wise and pound foolish. Buy a proper license for each machine. Keep it updated for all new definitions. Keep it current and get one that is constantly being updated. No one program is going to be 100% effective. Also, make sure that you have a program that detects malware. Malwarebytes Premium is my favorite. Again – go for the full paid version and don’t try to cut corners on freemium or freeware versions. An ounce of prevention is worth a pound of cure. You need protection that is going to detect phishing from spam, detect unsafe websites and web browser protection. Put strong back up procedures in place– you should have back ups in place with a return point objective that you can live with. That means that you should have back ups both onsite on a device and in the cloud. Both of the back ups should be constantly tested for verification and the process should be monitored. When this is successfully in place, in case of an outbreak, you can restore to the last back up that was unaffected. Please note: tape drives, USB sticks, and removable hard drives are not adequate for business applications. You need a proper belt and suspenders- a properly sized on premise device that is backed up to the cloud. 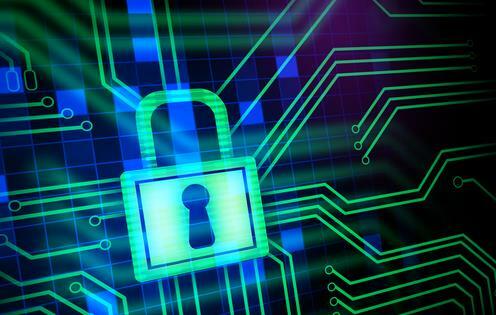 Make sure that you are updating your operating system and plug ins regularly – the current round of ransomware is exploiting unpatched and un-updated Windows vulnerabilities. We update our clients with whitelisted patches and updates from Microsoft. Make sure that you are constantly updating your operating system. Make sure that you are scheduling your updates properly- for all of your computers and all of your devices. Make sure you update all of your computers- even those that you may use less frequently. For example, we use micro pc’s in our conference room- for use with our large screen monitors. All of those units must be updated regularly. Make sure that your firewall is regularly updated and maintained– your firewall should be under contract and updated with the very latest definitions. 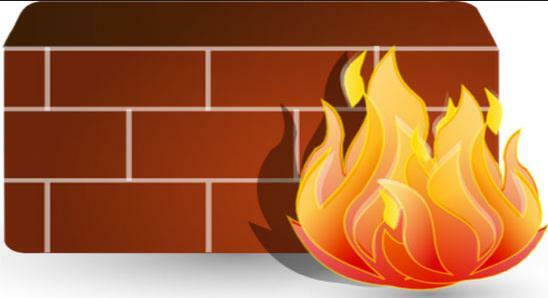 Your firewall is all that stands between you and the virus filled Internet. We recommend Watchguard because it is constantly being updated and maintained – and it includes best of breed components that would be too expensive to buy separately bundled in. Disable autorun- make sure that you disable autorun for everyone! !Yes, autorun is useful. Yes, it is also used by viruses and malware to propagate itself throughout a network. In these dangerous times, disable it. Stop making everyone an Admin!! – administrators should be admins. However, if you give everyone admin rights, you open yourself up to more damage. User should be users and admins should be admins. Period. Enforce secure passwords– believe it or not, people use stupid passwords. Enough with stupid. If you want to get infected, use a simple password. If you don’t use a secure password (strong with characters, alphanumeric and symbols). Better yet, have your users get a password manager app. When relevant, encourage the use of two factor authorization– if you have compliance requirements (HIPAA or PCI) definitely use two factor authorization. Disable RDP– remote desktop protocol is used by all sorts of viruses and malware to gain access. If you don’t need it or don’t know what it is, disable it. Educate EVERYBODY– even if your office is a handful of people- but especially if you have less sophisticated users- education of the threat is important. Your staff should know what phishing, spear phishing and how to recognize and avoid suspicious emails. Incorporate this into your onboarding of new employees or have a meeting about this. If you would like a recommendation for videos, send me an email and I will send you a recommended list. Along with that, add pertinent sections to your employee manual about bringing your own device onto the network, using “free”USB drives, and clicking on links in emails. Like I said, this is by no means a comprehensive list. I have learned Mark Twain may have had the last word. “It’s not what you know that gets you in trouble, it’s what you know for sure that just ain’t so”. The world of viruses and malware is changing. Yesterday’s method may be overcome in an instant and you have to keep on top of it. If you need help- just let me know! Want a honest assessment of your network? Give us a call at 847 329 8600! Once, managed security providers were small companies who offered select few larger companies the option to store their data remotely. Now, that market has grown into a widely utilized industry, where providers navigate security issues, compliance regulations, and the importance of data protection for you. Track Record. The ideal MSSP to handle your company’s sensitive data will be able to show a strong history of quality information management over a significant period of time. Response Time and Analysis. An MSSP must be able to easily determine security threats from false alarms. Your provider should be able to respond immediately after analyzing and interpreting large amounts of network security. Operation Centers. 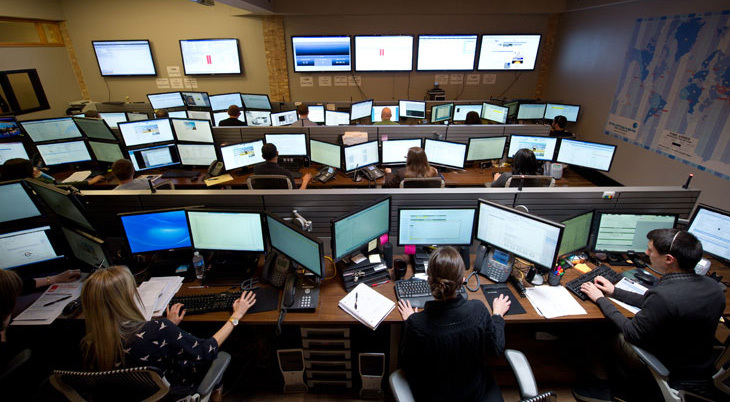 The best MSSP will have state-of-the-art security operations centers at multiple locations, allowing for cross-monitoring and double-checking compliance with security standards. Global Awareness. To really be prepared, security experts must be able to monitor threats to data not just domestically, but from around the world. 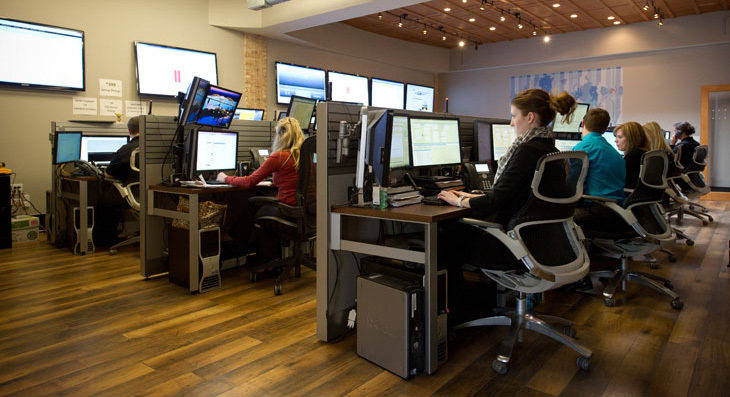 International eyes and ears allow for proactive handling of threats and real-time alerts. High Level Management. Management personnel in the best MSSPs will often have backgrounds working in military, security, or government: an indicator of success. Range of Services. Particularly for larger businesses, MSSPs must be able to provide a variety of services, including real-time monitoring, firewall management, intrusion detection systems, virtual private networks, and more. Security Procedures. Ask for documented standards and policies that are in place, from handling of unusual operations to common threats. Look for an MSSP that offers a variety of notification options for optimal staff awareness. Third-Party Validation. Whatever these policies and procedures are, make sure that the MSSP has had them validated and certified by a third-party auditor. Range. For best brand-specific protection, find an MSSP that employs specialists who have certified experience working with a variety of security providers and in a wide range of products. Reporting. Detailed reporting is essential for a company to truly trust the MSSP. Be sure that the reports are based on information drawn from various platforms, include recommendations, are open about latest threats, and are clear about any security changes that have been made. Your data is only as secure as the company trusted to protect it. Take your time and consider all aspects of the business and relevant details of your own company before deciding. As the shape of global business continues to shift, companies big and small are determining how to incorporate new technologies. But while growth and operational decentralization have obvious benefits for long-term goals, they also present a new series of ground-level issues that can no longer be solved by local teams. Developed to be scalable as a small business grows into a large, mobile one, this type of service combines the latest network technology with network monitoring, allowing a hands-off approach to managing networks and software. Agents can troubleshoot and fix most issues that occur from a remote location, further ensuring consistent access and functionality throughout the entire communications experience. 1. Quick recovery: With complex processes available to managed services providers, businesses can track and respond almost immediately to any events that may occur across their communications platforms. Gone are the days of scrambling from one problem to the next in an effort to simply keep projects and operations on track. With managed services, quick efficient fixes help businesses focus on growth. 2. Before It Even Happens: Thanks to helpful remote tracking, complex remote service systems can predict where problems may arise, preventing them before they even happen. Businesses can operate with confidence knowing that issues can get tackled before they even occur, thus lowering the risks involved in important projects and operations. 3. Proper Planning: By further monitoring the ways in which a client utilizes their network systems, managed services providers can alleviate redundant operations, free-up file space, and further streamline formal processes. This allows clients to accurately predict their future performance needs and make informed decisions regarding infrastructure and database. 4. Built-in HUD: Through client portals created by managed services providers, clients can access network and performance data in real time and respond immediately. Service tickets can be logged and saved, and critical processes are monitored constantly by management. These client dashboards can even be customized specifically to a business’ needs. Whether a client wants to view real-time operational data at a high level, or an ultra-specific one, a managed services dashboard allows business owners to keep an eye on the prize from the helm of the ship. 6. Big Picture Infrastructure: The in-depth, real-time monitoring provided by managed services gives companies a full understanding of the ins-and-outs of their infrastructure. Timely reviews prior to large projects, updates, and rollouts give business owners a full understanding of the ramifications of each decision they make, so that they can remain informed as they make crucial changes to the way they do business. Managed services highlight the weak points and problem areas so that companies can prioritize resources. With all of these benefits in mind, it’s easy to see…Managed Services is the next step in technological business development, and a crucial linchpin in the scaling of a rising company. All software products have a lifecycle. End of support refers to the date when Microsoft will no longer provide automatic fixes, updates, or online technical assistance. As of July 2014, there were 12 million physical servers worldwide still running Windows Server 2003. The Microsoft “Microsoft Support Lifecycle Policy FAQ” page offers additional details. Users have the option to upgrade to a currently supported operating system or other cloud-based services. There are software vendors and service providers in the marketplace who offer assistance in migrating from Windows Server 2003 to a currently supported operating system or SaaS (software as a service) / IaaS (infrastructure as a service) products and services. [4,5] US-CERT does not endorse or support any particular product or vendor. Our partnership with Rapidscale allows you to never have to worry about these types of announcements ever again. CloudApps is the next generation application purchasing and licensing management platform for business. CloudApps connects businesses with the applications they want while eliminating licensing management and application upgrades. With CloudApps, the application purchasing process is automated from per user or per business purchasing to application approval workflow delivered on one bill. Check out more at http://www.primetelecommunications.com/infrastructure-service/.